Verizon to offer unlimited iPhone data, but for how long? 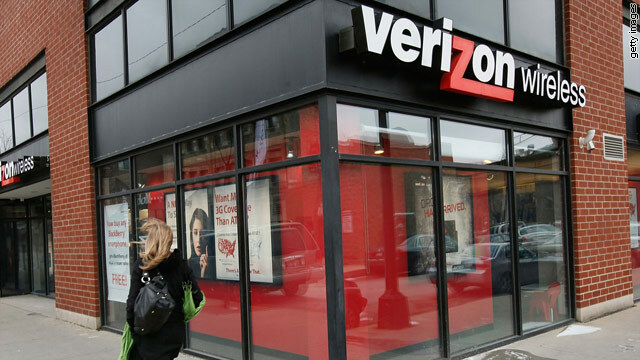 The latest news, if you can call it that, in the Verizon iPhone world is that Verizon will be offering unlimited data for those who use an iPhone over its network. According to All Things D, it’s a move to sway more current customers away from AT&T. Why we question the idea of it being news is that it would actually be more interesting if Verizon suddenly said “sorry, unlimited data for everyone except iPhone users”. You see, Verizon’s data package is unlimited at present. While it might be an added appeal for those considering a switch from AT&T over to Verizon once the iPhone lands, it’s not really news to anyone familiar with Verizon’s existing data plan pricing and structure. The question that must be asked, though, is how long Verizon can hold out under the weight of a growing, aging 3G data consumption society. A couple of months ago, a study was released that showed that Android users were, on the average, already surpassing iPhone users in terms of amount of data used. Android carriers typically used 421 MB per month while iPhone users averaged only 338. Add to that the fact that Verizon is the largest source for Android phones in the US and then top it off with the addition of data-hungry iPhone users and you have a recipe for disaster. It’s already been stated, and then shown with Verizon’s LTE plans, that tiered data is the way that the company intends to go. Typically speaking, those who have plans that were available previous to a newer one are able to keep them. While wireless consumers are no stranger to the bait and switch tactics of some carriers, most are also familiar with “grandfathering” plans and Verizon might very well be catering to that idea. The decision to not change the data packages likely holds weight with Verizon looking for an early influx of iPhone users, with hopes that they’ll later switch to the limited, higher-priced LTE data plans once an LTE iPhone is available. How long can the existing structure hold up? Nobody knows for certain, and that nobody likely includes Verizon. At the moment, all that can be done is speculation as to how well the data transmission will hold up with a heavy influx of new users. Time will tell what Verizon will have to do, up to and including the removal of unlimited plans, in order to keep that data flowing.